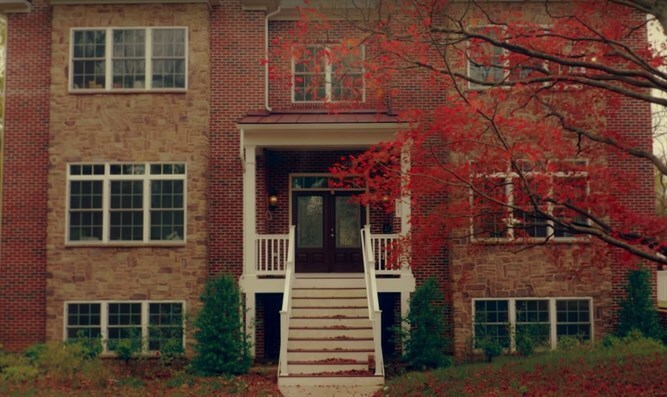 Newly built million-dollar Chabad house in Maryland faces court-ordered demolition - for building too close to the curb. For years, a Chabad House near Towson University in Maryland has been fighting with neighbors who say it expanded its building illegally. Now the battle is heating up after a Baltimore County judge this month affirmed an order to demolish the addition. Last week, the Chabad brought on Washington, D.C.-based attorney Nathan Lewin, who has argued numerous religious liberty cases in front of the U.S. Supreme Court. Lewin said the Chabad is exploring its next steps in fighting the demolition. “From my personal experience in federal land use cases, this is a classic situation in which federal law has been violated,” Lewin told JTA on Wednesday. Lewin says the demolition order violates the Religious Land Use and Institutionalized Persons Act, which was enacted to prevent zoning laws to be used as a way to discriminate against religious institutions. Meanwhile, neighbors say that Chabad Rabbi Mendy Rivkin and his wife, Sheiny, are the ones who are violating the law by operating a community center in what the couple claims is a residential building. Chabad of Towson opened in 2008 when the Rivkins bought the property in the Aigburth Manor neighborhood. Members of their Hasidic Orthodox outreach movement operate Chabad Houses in cities around the world, offering Jewish programming and hosting people for Shabbat meals and religious services. In 2014, the couple, who serve nearby residents and students at Towson University and Gaucher College, decided they wanted to expand. In 2016, the $800,000 addition was built, increasing the building’s size from 2,200 to 6,614 square feet, according to Chabad. Their neighbors weren’t happy. In a lawsuit against the Chabad House, Robin and David Zoll, who live next door, and others cited two separate issues with the Chabad House: They said the building was set too close to the curb and it breached residential zoning laws for a residence. In 2017, a judge ordered Chabad to tear down the addition. Chabad appealed, but the latest ruling reaffirmed that order. Zoll could not be reached for comment, but JTA spoke to Paul Hartman, vice president of the Aigburth Manor Association of Towson, which is a co-plaintiff on the case. The group, like Zoll, believes that the Chabad House should not be classified as a residential building. “The whole complex is something like 8,000 square feet, where the largest home on that street is just a bit over 3,000, and most homes are less than that, so it is totally out of scale with the community,” Hartman said Thursday. Reports, including in The Baltimore Sun, said that Chabad had applied to build a 6,614 square feet extension to the original building, which would put the complex at over 8,000 square feet. However, Chabad told JTA that 6,614 square feet represents the total for the entire complex, not just the addition. Hartman added that Chabad hosts large gatherings that are disruptive to neighbors and create parking issues because there is no on-site parking. Lewin disputes claims that the Chabad House is a community center rather than a residential building. A fundraiser set up to cover Chabad’s legal costs had raised over $140,000 as of Thursday afternoon. The page, organized by Friends of Towson Chabad, links to a letter that draws comparisons between the demolition order and the Nazi Kristallnacht pogroms. “Eighty years after Kristallnacht, a Rabbi’s home and a home for thousands of Jewish students is slated for destruction. For a clearly discriminatory ruling like this to be administered in the 21st century is chilling,” the letter reads. Lewin took a different tone in his conversation with JTA. Robin Zoll has denounced suggestions that anti-Semitism is behind her opposition to Chabad’s expansion. Meanwhile, Lewin said that demolishing the Chabad House would hurt not only the Rivkin family.